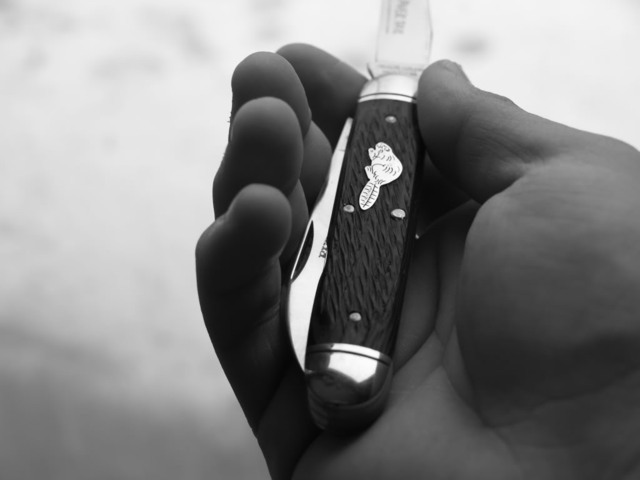 Do you have some GEC's in your EDC rotation? I've been carrying the little white bone wharnie for over a month and it's the nicest knife I've ever handled. It's perfect in the hand and in the pocket. It's just got a great feel to it. I haven't got around to the other two yet. Since St Patrick's Day my EDC has been a GEC made Bulldog #25 spear blade EZ open in smooth green bone. But for the long pull & differnt shield it looks like the bottom one in your pic. I'll try to add a pic later. Most of my GECs are in my EDC rotation. I'm carrying my #48 Jack and #61 Half Congress right now. This little guy is my first GEC and in my pocket right now. my 62s have been in heavy rotation lately - a gen stag and snakewood. a burnt stag 89 also gets a lot of use. and it's really sharp and handy! I'm totin' this riverboat gambler. The grain's even better than the one in the promo pic. Slim and useful. maybe you can convince gec to make another one called "smooshed goat" or something like that. Nice selection of GEC on this thread. I like to have a variety in my rotation knives, I don't always carry a GEC, but I have quite a few that get the nod to ride along. I'm going up to trout camp in a couple weeks, so this toothpick will be taking over for the most part. I'm excited to see how it handles the PA streams. 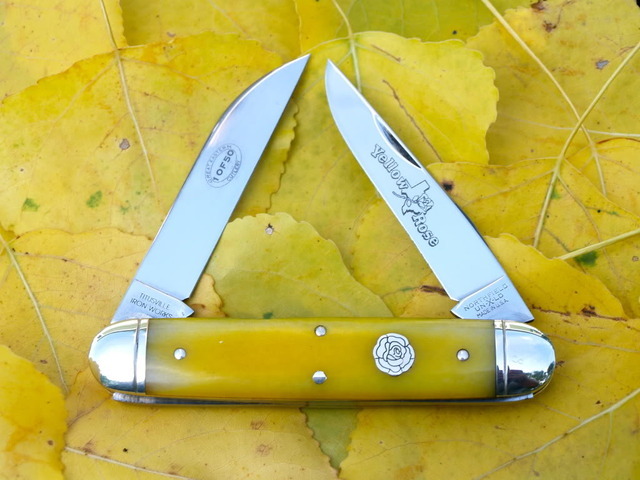 I'm also planning on heading to the GEC rendezvous this year, so my yellow rose will spend some time back at the factory. I had to make this one my EDC. 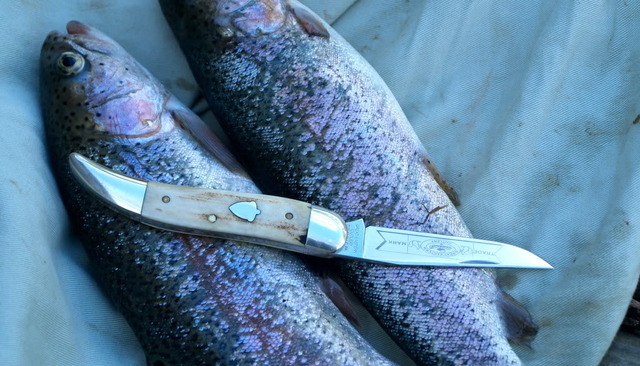 Its just a well made top quality sweet knife! GEC 488110 Antique walnut bone single blade trapper. Really nice EDCs Johnny Twoshoes and Gino.